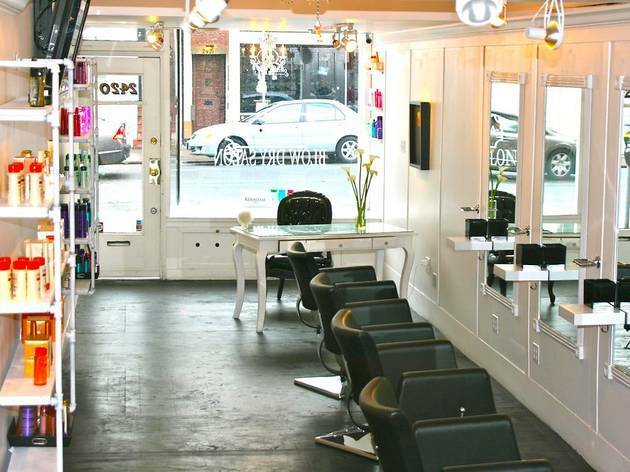 This cheery salon has two locations in San Francisco—one in Russian Hill on Polk and Union and another in the Marina on Chestnut and Steiner. Ornate details like a candelabra chandelier, footed receptionist desk with Louis XV-style black leather chair, and white calla lilies give the salon a boudoir-like feel. 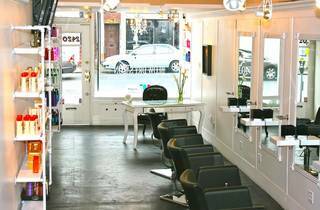 While the Marina location is a full service salon, the Polk Street boutique is strictly for blowouts, makeup, and mini facials. All blowouts are with Kerastase’s haircare line.